1. PTFE/Pb mixture 0.01~0.03mm as sliding layer, provides an excellent initial transfer film, which effectively coats the mating surface of the bearing assembly, forming homogeneous oxide type solid lubricant film. 2. 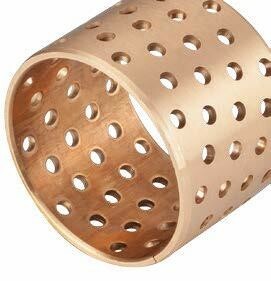 Porous bronze 0.2~0.3mm, provides Max. Thermal conductivity away from the bearing surface, also serves as a reservoir for the PTFE-lead mixture. 3. 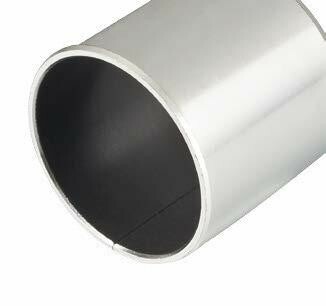 Low-carbon steel backing 0.7~2.3mm, provides fundamental structural support and gives exceptionally high load carrying capacity, excellent heat dissipation. 4. 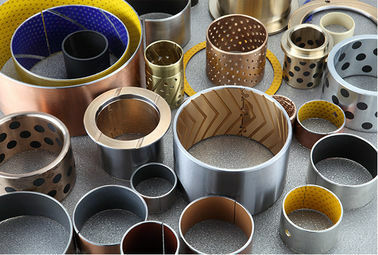 Tin-plating 0.005mm or copper-plating 0.008mm, provides good corrosion resistance. DX is triple-layer self lubricating material that can fill modified POM plastic as surface layer, it is benignant boundary lubrication material, therefore, it is particularly applicable high-load low-speed rotating and wing movement, as well as in the condition that frequent loaded start-stop is the requirement while hydrodynamic lubrication membrane is difficult to form, in the parts such as bearing, thrust washer, sliding block, ball socket and so on, DX can take full advantage of less grease to work long time without lubrication maintenance under boundary lubrication condition, But under oil-free condition, DX the frictional behavior and permissible PV value is relatively low, so generally storage pit can be formed on the plastic surface, where lithium based lubricant grease or silicone grease and so on should be applied when being installed. 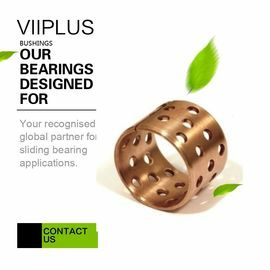 The bearings are wrapped of a cold formable homogenous bronze (CuSn8), which will obtain exceptional material properties. 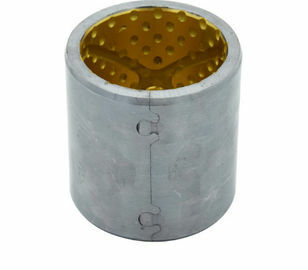 The standard sizes are fitted with diamond shaped lubrication indents on the bearing surface. 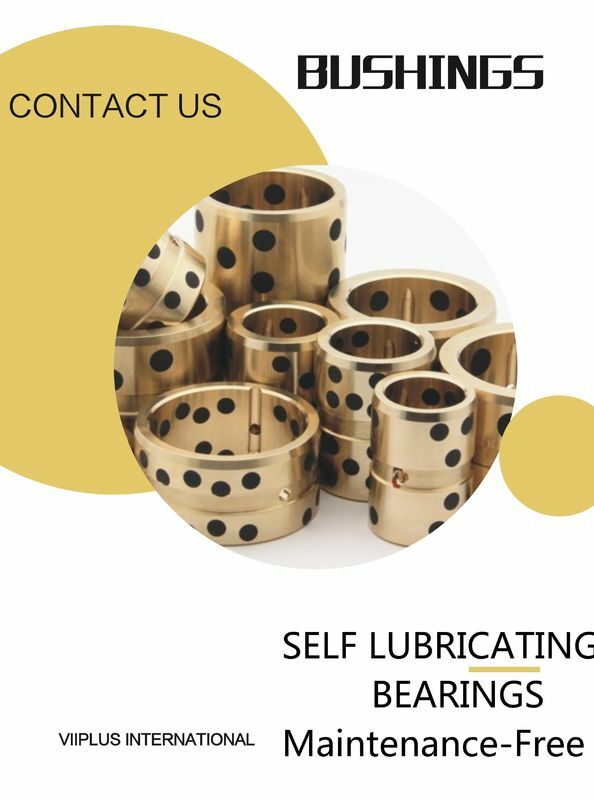 These indents serve as lubricant reservoirs to rapidly build up a lubrication film in the start movement and therewith reduce the start friction. The material suitable for constructions, agriculture etc where high load and slow movement are occurring. 1. Sinter bronze powder: Good wear resistance and excellent load carrying capacity. 2. 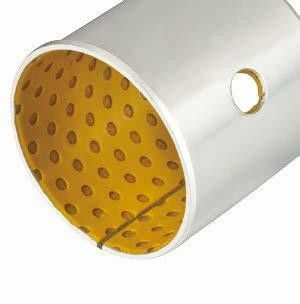 Steel backing: Provides exceptionally high load carrying capacity, excellent heat dissipation. 3. Copper plating thickness 0.002mm provides good corrosion resistance. 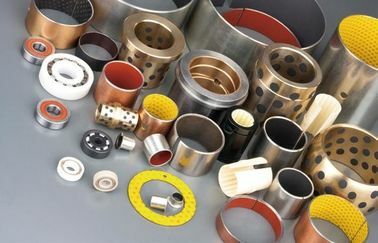 Bimetal bearings are steel shell backed with a lead bronze lining bearing material for oil lubricated applications. This material has high load capacity and good fatigue properties.